Hi and welcome to iplastidip top selection of FAQs. Here you will find a great selection of questions and answers when using plastidip. It is less then five minutes reading and well worth looking at before you buy and use the many colours and enhancers of Plasti Dip. At iplastidip we are always trying out new ways to use plastidip and if we encounter any problems, we will report it with solutions here at our FAQs section. we will also show you are latest plasti dip projects in our gallery . Currently we are trying plasti dip on concrete and wood garden projects and will upload to our gallery when complete. Their are hundreds of ways to use plasti dip around the home. 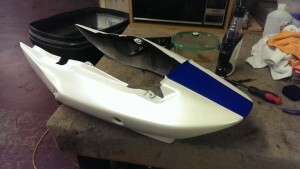 Go online and type into google, plastidip cars, motorbikes, arts and crafts and you will get the idea. Then come up with your own project, give it a go and if you like to, then please send us the photos or video. Thank you for visiting our website FAQs. My plasti dip is spraying blobs, or splattering? 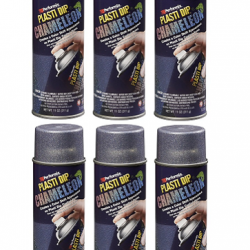 If you are using Plastidip cans, they may not be shaken properly or the can may be too cold. Try leaving the cans in warm water for a few minutes . Be sure to shake the plastidip cans often. You may purchase one Plasti Dip Metalizers (Gold, Silver, Copper to provide you with a metalic look. The metalizer sprays on top of any regular Plasti Dip product. You can add as much as you like or as little as you like for the desired effect. A HVLP spray gun is recommended for plasti dip. The most popular gun is the Earlex 3500 but people have reported good success with the Earlex 2900 and similar Wagner guns. Can I Plasti Dip over head lights and tail lights? Plasti Dip peels easily off of most lights. However, we have found a few types of head lights or tail lights do not respond well with Plasti Dip. Our suggestion, to be safe, is to always mask off head lights and tail lights to ensure there is no negative reaction. Check out plasti dip aerosol smoke. What is a “Dipped Car”? A Dipped Car is any vehicle that has been sprayed with Plasti Dip Spray. Plasti Dip is an awesome product that allows you to spray your car into almost any color and then simply peel it off when you're done. It also works great as a protective coat for wheels, badges, emblems and exterior/interior trim. Can Plasti Dip® be applied to PVC? Rub acetone or finger nail polish remover in an inconspicuous area and apply Plasti Dip® to test for success. Can I add colorant to the Plasti Dip® and make a custom color? Mixing different colors of Plasti Dip® protective coating can be done to achieve other colors. Your local hardware, home center, or paint store may also sell tubes of tinting colors. Add approximately 1/3 of a 1 oz. tube per 14.5 oz. can of Plasti Dip®. Why is the Plasti Dip® sagging or dripping? Removing an item being dipped too quickly usually causes this. Remove at a rate of 1” every 5 seconds. If experiencing runs or sags when spraying, move can further away from the surface and apply a lighter coat. Sagging and dripping can also be caused by high humidity, high temperatures, windy conditions, and/or direct sun light. Ideal conditions are low humidity, 70 degrees, little to no air movement in a well ventilated area. 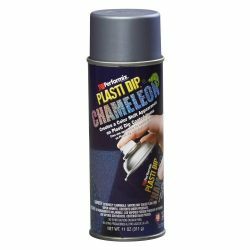 What are Plasti Dip Enhancers? Plasti Dip enhancers are products used to enhance the look of any dipped surface. Check out our selection of Plasti Dip Enhancers. Is Plasti Dip® safe to use on children’s toys, animal containment and/or on kitchen utensils? Plasti Dip® does not contain any heavy metals, and when completely dry, is considered harmless. However, it is not recommended that it be used on items that may be chewed or inserted into the mouth, as it may present a choking hazard. Plasti Dip Glossifier allows you to add a glossy finish to any surface sprayed with Plasti Dip®. Apply Glossifier like Plasti Dip®. It protects and can be removed when wanted. How do I prepare the surface before dipping? It’s very important to make sure the surface your dipping is free of oil, grease, dust and dirt, before applying Plasti Dip®. Thoroughly clean the surface with warm water and dishsoap. Make sure the surface you washed is completely dry before dipping!. How long will Plasti Dip® last? Plasti Dip® is a very durable product. It can last as much as 3 years if the surface is prepared properly before application. For best results, apply 4-5 even coats allowing 15 - 20 minutes drying time between coats (Longer in colder weather). Allow 6 hours from the last coat to fully cure. Will Plasti Dip work exactly the same on every car, every surface? Although Plasti Dip® works and behaves exactly the same for most users, there are certainly specific circumstances in which the Plasti Dip could not behave as expected. The age of the car, the condition of the clear coat, if you have already done a DIY paint job on the surface, etc. are all possible factors that could effect the way the Plasti Dip bonds, peels, or covers. Although most users will have a predictable and trouble free experience with dip, we suggest you do a small test spot on the surfaces you will be dipping before you begin your project. Yes, Plasti Dip® really does peel off. We always suggest a minimum of 4-5 coats, not only for durability, but to make sure it peels off in large pieces when you are ready. Check in our videos section and you will see a video showing how it peels off of wheels, etc. It will peel off even after a long period of time - however after extreme lengths of time (8-12 months), it may dry out a bit and come off in smaller pieces. You can use it for art & crafts, garden furniture, plastidip wheels, plastidip tools, plastidip game consoles (Xbox,ps3,etc), plastidip your hood, plastidip your roof, plastidip your valence, plastidip your whole car and so much more. What type of thinner can be used/is the most compatable? Most thinners are compatible with Plasti Dip as long as they include Xylene, Naphtha, and/or Toluene. How many Gallons does it take to Dip a Car? How many coats should I put on my car? If properly applied, Plasti Dip® will last as long as 3 years without having to be retouched. It is very durable and will not lose it's bond. The spray distance when applying as well as the amount of coats applied will heavily determine the longevity of the product. After 3 years, or during the three years if desired, a new refresher coat can be easily applied. Will it hold up to the elements (sun, Rain, Snow, etc.)? Plasti Dip® is extremely resistant to the elements, including sun fading, winter ice, cold, salt etc. A lot of customers actually dip their wheels and cars specifically to protect the original surfaces from the winter season. Although in high sun exposure areas a, UV blended rubber dip is recommended to protect the coating from fading and discoloration. How does Plasti Dip hold up to gasoline? Plasti Dip® is a solvent based coating and does not hold up to gasoline! Please be careful when filling your tank or working with gasoline around a dipped surface.